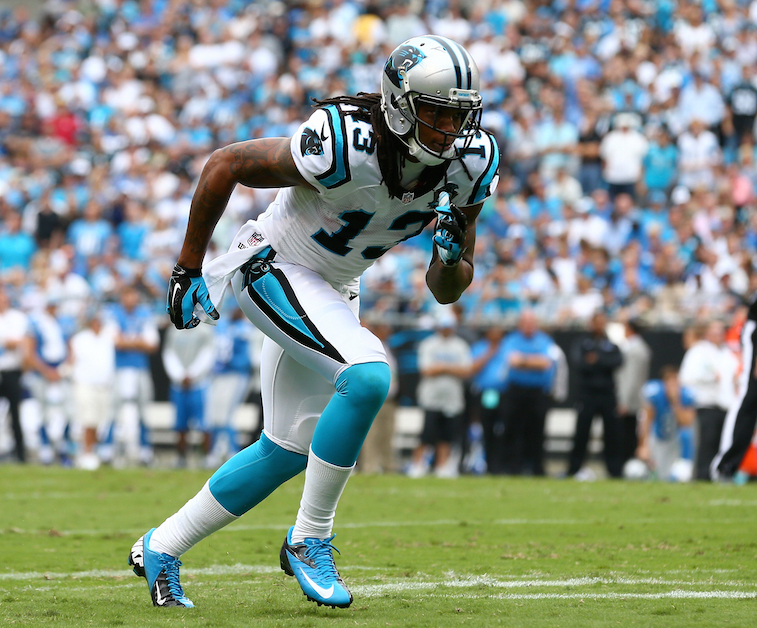 NFL: Will Kelvin Benjamin’s Injury Hurt the Carolina Panthers? The Carolina Panthers are coming off of a 2014 season in 2014 that included an NFC South title and a win in their Wild Card playoff game over the Arizona Cardinals. One of the biggest reasons for their success last year was the emergence of rookie wide receiver Kelvin Benjamin (pictured above) as one of the best young wideouts in the league. The 6-foot-5, 245-pounder developed an undeniable rapport with quarterback Cam Newton en route to catching 73 passes for 1,008 yards and nine touchdowns, and the team was expecting an even better season out of Benjamin in his second NFL season. However, after a freak injury, the Panthers will be without their best wide receiver for the entire 2015 season. In a non-contact drill while running a simple pass route, Benjamin planted his foot wrong and suffered a torn ACL in his left knee. Needless to say, the news regarding the severity of the injury was devastating for the Panthers, who had extremely high expectations for the 2015 season. As it stands, the loss of Benjamin leaves the Panthers with veterans Corey Brown, Jerricho Cotchery, and Tedd Ginn Jr., and rookie Devin Funchess as their top four wide receivers. While Brown, Cotchery, and Ginn have all proven to be solid complimentary players during their career, none of them are well suited for a role as a No. 1 wide receiver. The one player with the potential to develop into a No. 1 type of wide receiver is Funchess, who most scouts and coaches viewed as a physically gifted, but extremely raw player that would need to time to develop at the NFL level prior to the 2015 NFL Draft. We’re not saying that he won’t cultivate into something special, but it’s hard to imagine that Funchess is ready to shoulder the lofty expectations that have now been thrust upon him. Over the next couple of weeks, the Panthers are sure to be in the market for help at the wide receiver position. Even if there were a team in the league that was willing to part with a player close to the caliber of Benjamin, trading for such an impactful type of player at the position would likely prove to be too costly for general manager Dave Gettleman. The more likely option for the Panthers would be to add one of the veterans that are still available on the free agency market. 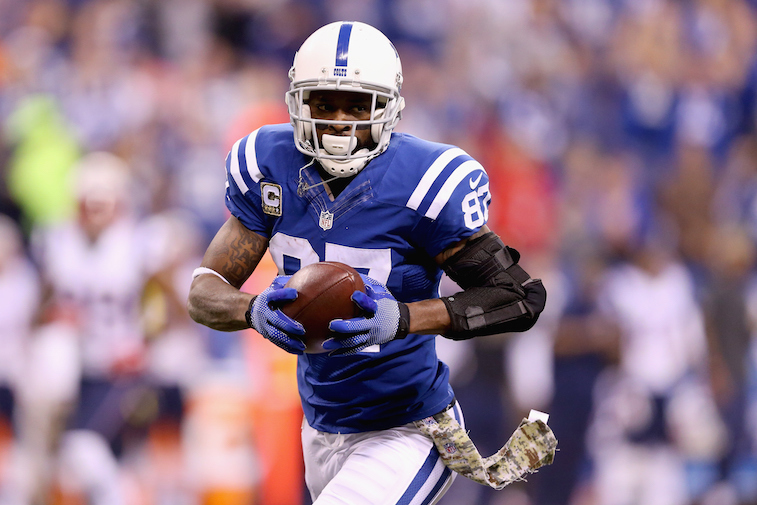 The first name that comes to mind in regards to free agent wide receivers is 36-year-old Reggie Wayne (pictured above). The former Indianapolis Colts standout is a future Hall of Famer, and while he isn’t the player that he was five years ago, he is still more than capable of helping a team win games in 2015. On top of that, having a veteran such as Wayne on the roster would be highly beneficial to a young quarterback like Newton. Other veteran free agent options include Wes Welker, Antonio Holmes, Donnie Avery, Brad Smith, Santana Moss, Robert Meachem, and Brandon Lloyd. With that being said, none of these guys are even remotely close to being on the same level as Benjamin. Any way you look at it, losing Benjamin for the season is a serious blow for the Panthers in their quest for a third-straight NFC South division title. They will be without their top offensive playmaker outside of Newton, and the prospects for replacing him are grim, at best. If you want to look at it from a fantasy football perspective, losing Benjamin undoubtedly drops Newton’s value among quarterbacks, but at the same time, it also increases the value of running back Jonathan Stewart and tight end Greg Olsen, who will both likely see an increased workload as a result of the injury. All said, Benjamin’s injury may have dashed the Carolina Panthers’ playoff hopes before the regular season has even kicked off.